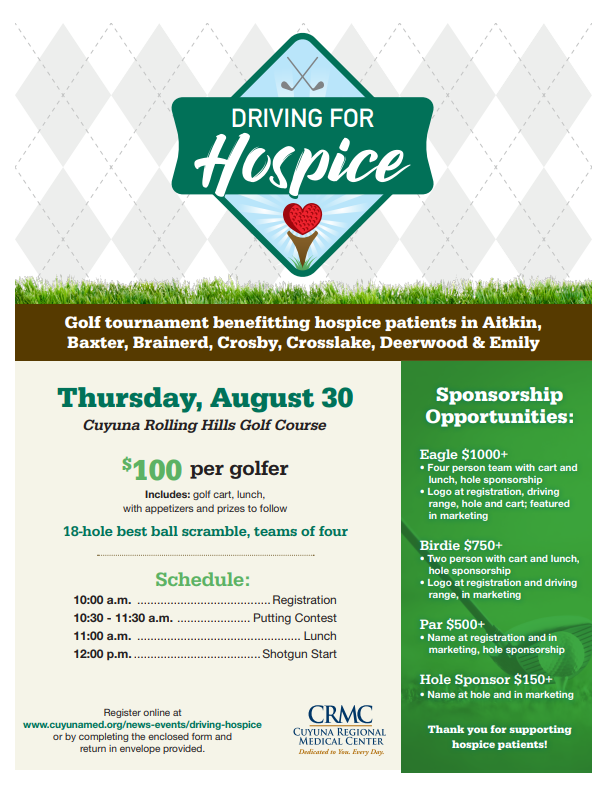 Driving for Hospice will be a 18-hole best ball scramble with shotgun start at noon Thursday, August 30, at Cuyuna Rolling Hills Golf Course. Players will compete for cash and other great prizes. A hole-in-one contest is planned together with other fun activities. 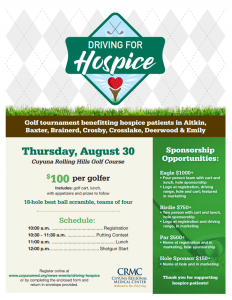 Proceeds will stay in the community and provide end-of-life care to area people. We are hoping you’ll join us for the this fun event.